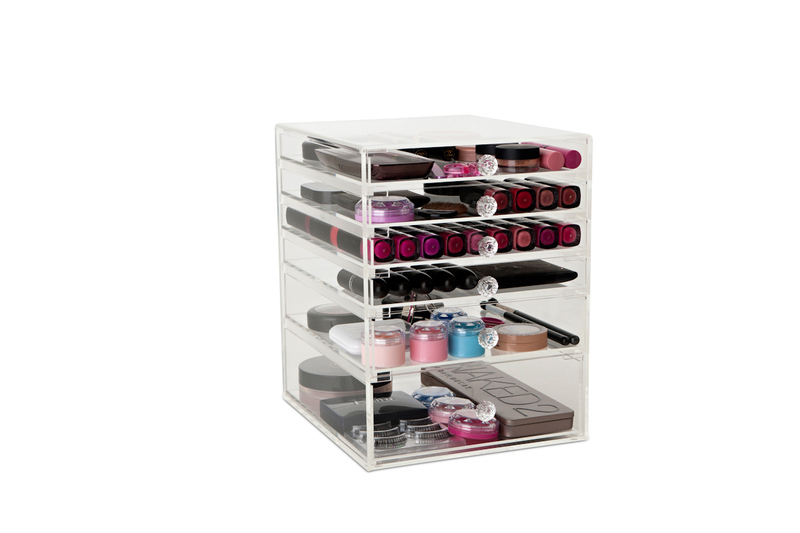 Our Luxe Glamour Box is for when our five drawer storage units simply won’t do! 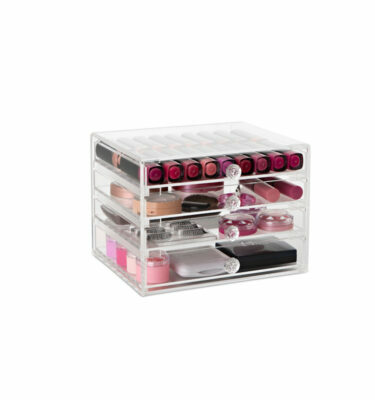 This Acrylic Makeup Organizer caters for those who love their Makeup collection and long for an easier way to display and store their makeup items. 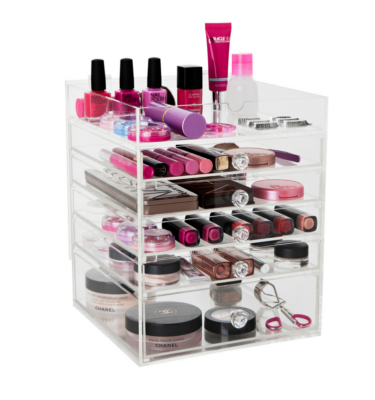 This large organizer has space for your foundations, blushes, bronzers, lipsticks, eyeliners and more! Like our Glamour Boxes the handles for our Luxe Glamour Boxes are diamond cut for that glamorous effect. 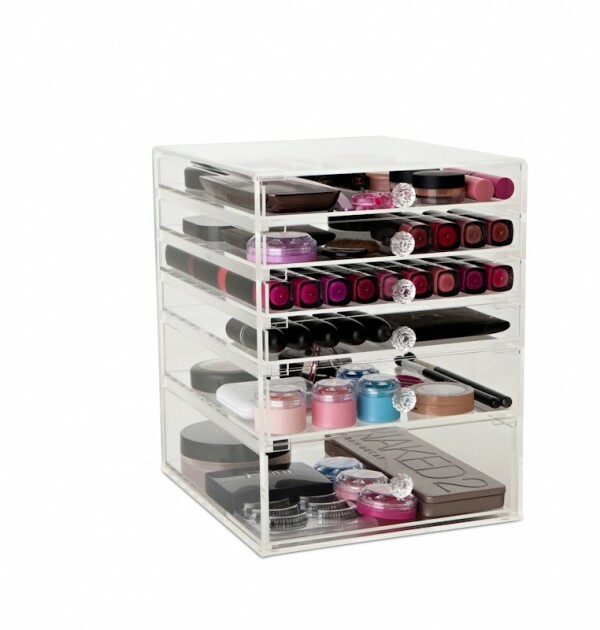 You can even store you favourite pieces of jewellery or even hair tools in these units! We spend too much on our makeup collections to just toss them in a drawer or toiletry bag so why not treat yourself to one of these gorgeous pieces. To save even more bench space you can store your perfumes and lotions on the top of the Luxe Glamour Box, or add a Deluxe Tray for more storage! Exceptionally priced at $146 including tracked delivery to anywhere in Australia. Item measurements can be found in the additional information tab below. 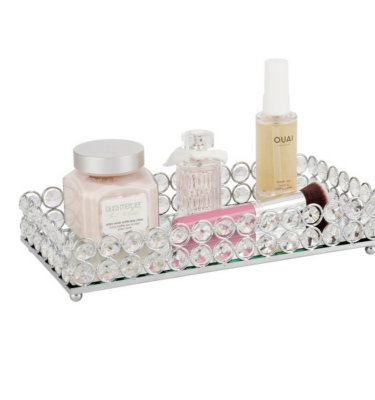 Our Luxe Glamour Box is for when our five drawer storage units simply won’t do! 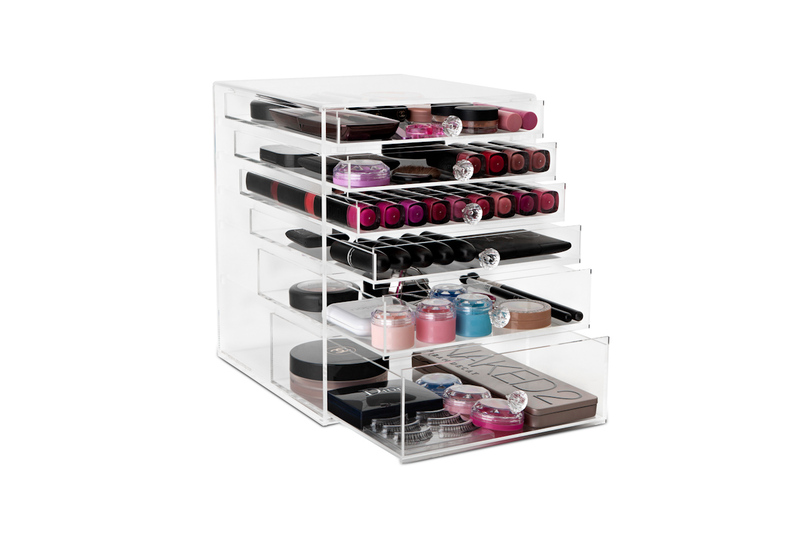 This six drawer Acrylic Makeup Organizer caters for those who love their Makeup collection and long for an easier way to display and store their makeup items. Like our Glamour Boxes the handles for our Luxe Glamour Boxes are diamond cut for that glamorous effect. 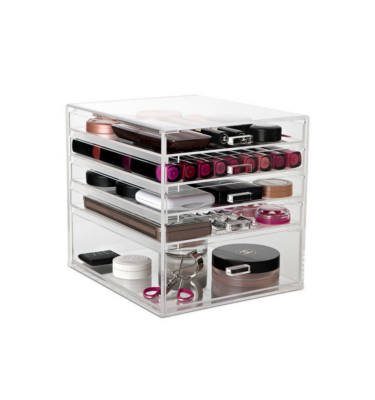 You can even store you favourite pieces of jewellery or even hair tools in these units! Exceptionally priced at $146 including delivery to anywhere in Australia. Such a good quality product and excellent customer service!